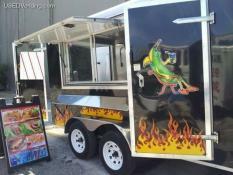 8' x 20' Food Concession Trailer for Sale in New York!!! 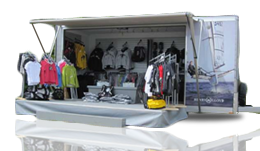 Be creative in your mobile food concession business with this 8' wide and 20' long food concession trailer that has 7' of inside standing height. Check out more details below. Help yourself to a complete, ready to go and established fried food business! 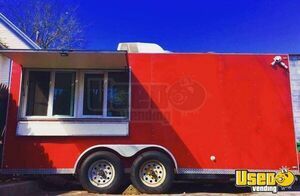 Don't miss out on this 1986 model turnkey food concession trailer that comes with a 2004 model Duramax GMC Sierra 2500 truck for hauling! See more details down below. 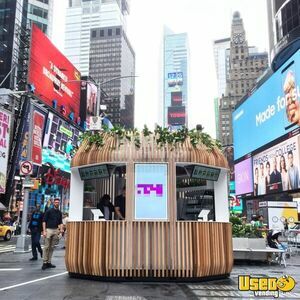 2017 - 8' x 18' Ice Cream Froyo Concession Trailer for Sale in New York!!! 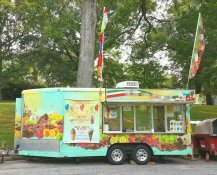 Twirl fantastic flavors daily when you get your hands on this 2017 model 8' wide and 18' long ice cream / frozen yogurt concession trailer with 7.8' of inside standing height. 25' with hitch. See more details down below. 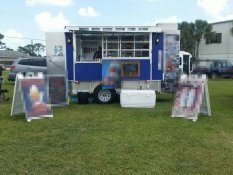 4' x 8' Food Concession Trailer for Sale in New York!!! The local street food business scene is ready for your entry! 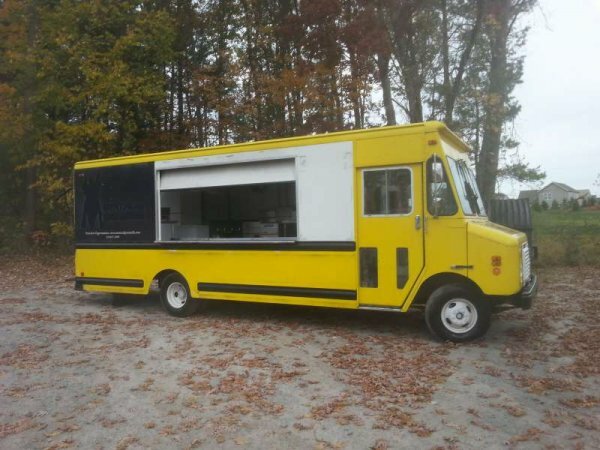 Get started on your culinary career with this 4' wide and 8' long festival concession trailer! See more details below. 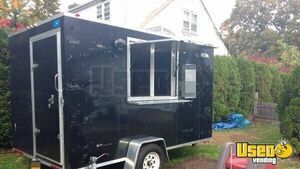 5' x 8' Food Concession Trailer for Sale in New York!!! 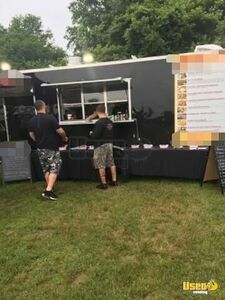 2016 - 8' x 16' Food Concession Trailer Sale in New York!!! 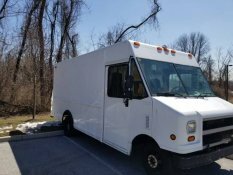 Today is a great day to start a mobile food concession business! Start yours with this custom 2016 model 8' wide and 16' long food concession trailer that has 7' of inside standing height. See more details and features down below. 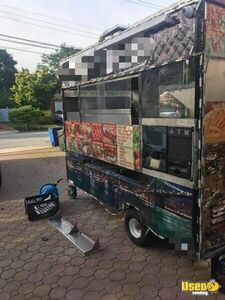 2018 - 7' x 12' Solar Powered Food Concession Trailer for Sale in New York!!! Start a mobile food concession business that's great for the environment! 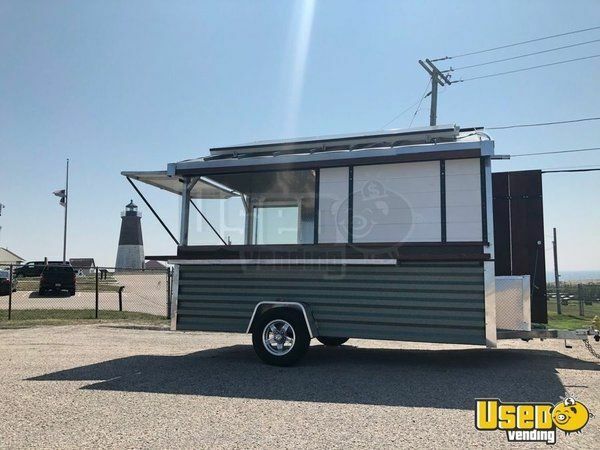 Get started with this brand new solar & gas powered 2018 model 7' x 12' food concession trailer! To know more details about this unit, see details below. 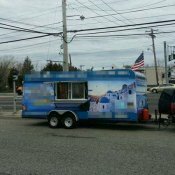 2016 - 7' x 14' Food Concession Trailer for Sale in New York!!! Get the best mate for your mobile food concession business adventure! 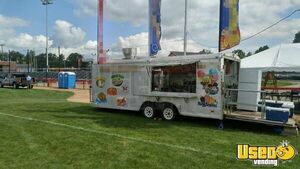 Get this very good condition 2016 model food concession trailer that is 7' wide and 14' long! Kitchen was installed in 2016. See further details down below. 6' x 16' Food Concession Trailer for Sale in New York!!! 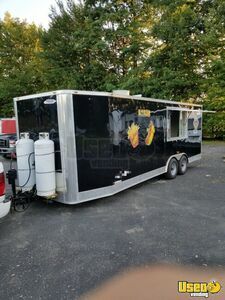 Get the mobile food concession business experience when you start your own with this 2003 model 6' wide and 16' long food concession trailer that is in very good condition! See more details below. 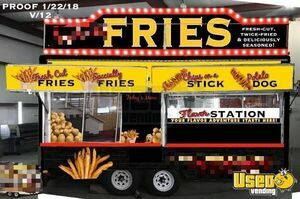 2017 - 8.5' x 20' Food Concession Trailer for Sale in New York!!! 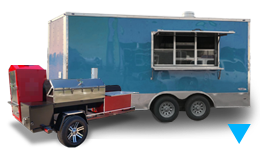 Begin a brand new food trailer business with this 2017 model food concession trailer that's 8.5' wide and 20' long! 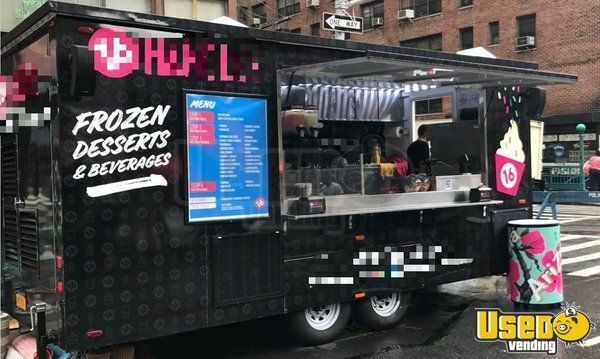 This mobile food concession unit is featuring an equipped 2018 build kitchen inside! Check out more details below. 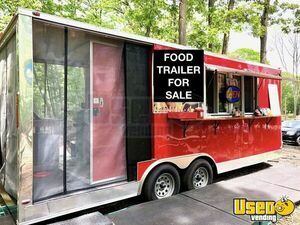 8' x 23' Food Concession Trailer for Sale in New York!!! 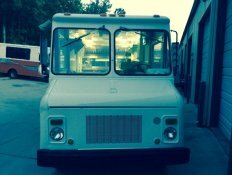 Are you ready for your very own mobile food concession business? 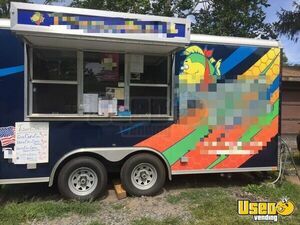 Kick off with this fully operational 1984 model 8' x 23' food concession trailer that is in good condition! Interior height is a little over 6 ft. See more details below. Get ahead of the competition, and make your mark in one of the hottest business niches of the decade! Check out this 2018 model - 7.5' x 25' BBQ concession trailer that has a 6' porch and high quality, NEW commercial equipment installed! Health Department Approved in 2018 in CT. Check out more details and features below. 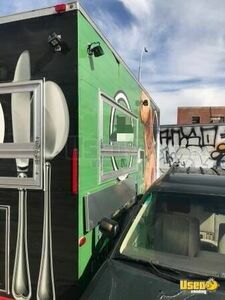 2018 - 8.5' x 20' Mobile Kitchen Food Concession Trailer for Sale in New York!!! Got a big menu set? 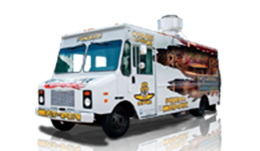 Get an awesome mobile food concession unit that can handle all of them! 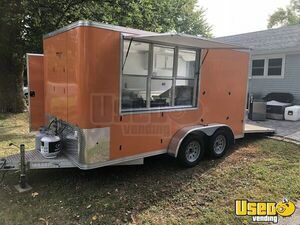 Grab this 2018 model 8.5' x 20' mobile kitchen food concession trailer that was only used for 1 day- it's practically NEW. See more details and features below. Turnkey Multi-Unit Concession Business for Sale in New York! 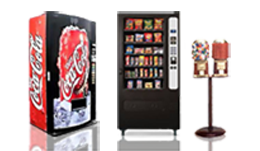 Want a complete concession business? This is your lucky day! 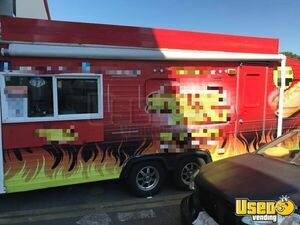 Available now is a complete food concession business that consists of 2 food concession trailers, 3 commercial tents, 2 carts, and a 2008 model Chevy Truck! Check out more details of this package below. 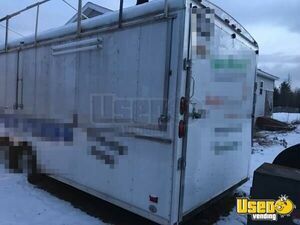 2017 - 8.5' x 14' Concession Trailer for Sale in New York!!! 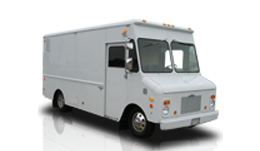 Are you planning on building your dream mobile kitchen? Build it inside this awesome 2017 model concession trailer that is 8.5' wide and 14' long with an inside standing height of 7'. 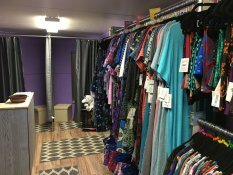 Check out more details of this concession trailer below. 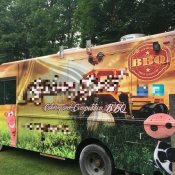 2016 - 7'10" x 19' Food Concession Trailer for Sale in New York!!! Take the town for an awesome food adventure! 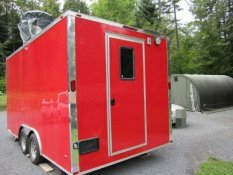 Get this food concession trailer now- it has a 2016 kitchen! 7'10" x 19' with 9 ft inside height. This is in good condition. 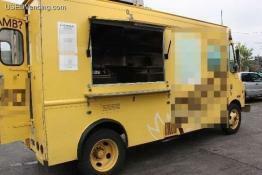 See more details of this mobile food unit below. 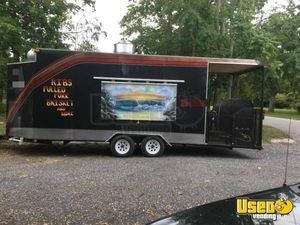 24' BBQ Concession Trailer with Porch for Sale in New York!!! 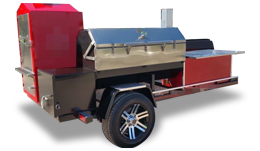 Make your BBQ concession business even hotter with this awesome 24' long BBQ concession trailer with porch! More details of this trailer can be seen below. 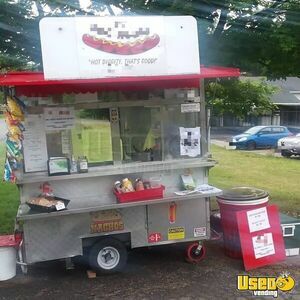 7' x 14' Food / Hot Dog Concession Trailer for Sale in New York!!! Are you a hotdog lover? 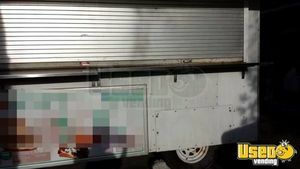 Look no further and grab this amazing Food Concession Trailer that is in very good condition! No worries about bumpin' your head inside because it has 7' of inside standing height! Check out more details and features of this eye-catching trailer below! 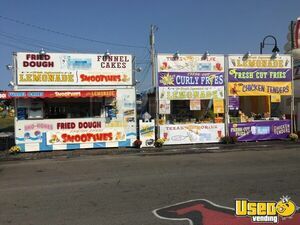 2011 - 8.5' x 30' Food Concession Trailer for Sale in New York!!! 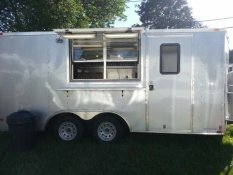 For Sale in New York - This is a 2011 - 8.5' x 30' Food Concession Trailer. NOTE this is an unfinished unit, it will need work to make it operational. Check out more details of the trailer below. 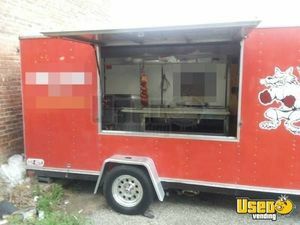 For Sale in New York - This is a 7' x 12' Food Concession Trailer that's in good condition. Check out more details below. 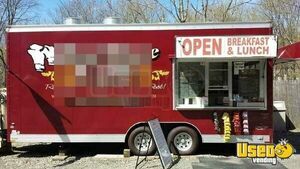 20' x 8' Food Concession Trailer for Sale in New York!!! 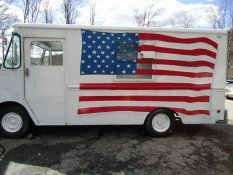 For sale in New York- this is a 2008 20' x 8' 6" food concession trailer that's like new and ready to work. Can be used for any type of cuisine. See details! 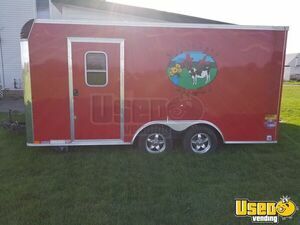 For sale, this 12' concession trailer in very good, clean condition. It has some food service equipment and plenty of room to add more. See details for more info.